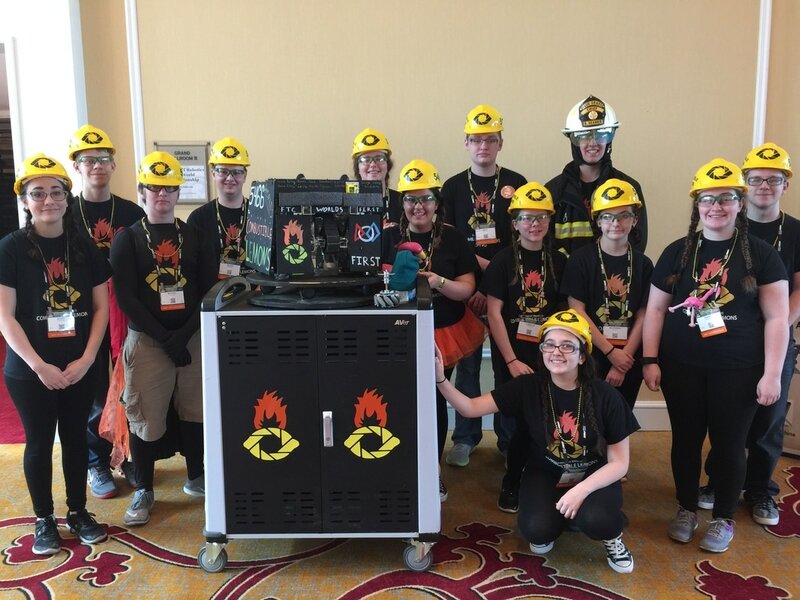 ​After a six hour drive to St. Louis from Davenport, the Combustible Lemons and Disruptive Innovation attended their separate competitions across the city. The Combustible Lemons finished their matches in 17th place in the Edison division, During Award Ceremony, the Combustible Lemons were nominated for three different awards; Promote, Motivate, and the coveted Inspire award. 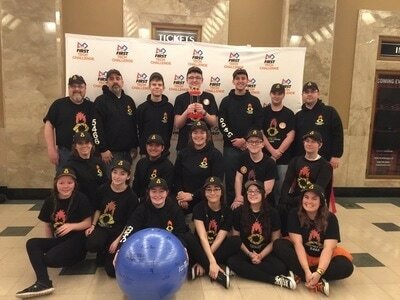 During Closing Ceremonies the following day, it was announced that the Combustible Lemons were the winner of the Inspire award and were the 2016-17 season's St. Louis World Champions! The Combustible Lemons just before going into their Judges Interview at the St. Louis Worlds. The Combustible Lemons in their team picture after being one of four nominees for Inspire at the St. Louis World Championship. The Combustible Lemons on stage after being announced at the winners of the Inspire award. The Combustible Lemons have been lucky enough to receive more incredible opportunties after winning the Inspire award. 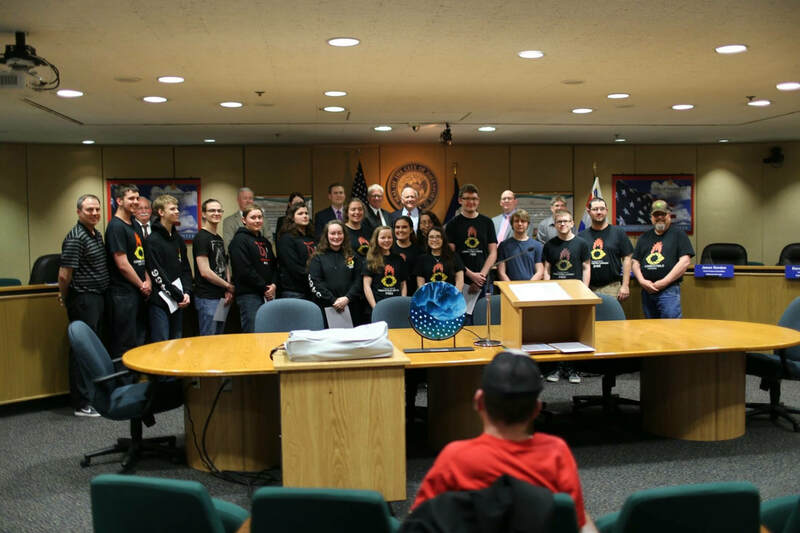 They were invited to present at a Davenport Community School District Board Meeting, where they gave a presentation similiar to that at a compeition. The school district's officials were able to better understand what being World Champions means and what FIRST is all about. 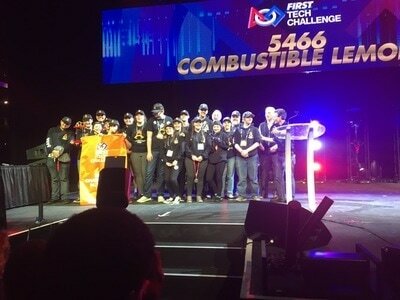 After winning the Inspire award, the Combustible Lemons received an official invitation from FIRST to attend the Festival of Champions in Manchester, New Hampshire. Along with the Winning Alliances, Chairman's Award Winners, and Dean's List Recipents from both St. Louis and Houston World Championships, the Combustible Lemons had the wonderful opportunity to tour the FIRST Headquarters, tour Dean Kamen's company, DEKA, and visit Dean Kamen's home. They were given the best seats in the house during the Festival of Champions Matches, sitting behind the St. Louis FTC alliances. They were also able to attend a Boston Red Sox game and see the historical city while on the East Coast. The Combustible Lemons had an amazing experience as just one time in the first FIRST Class of Champions!